Digital marketing is becoming smarter and more complex by the day and with all the new tools available to us these days it can make work easier, once you've jumped over the initial set up hurdles, that is. Whether you're a digital marketer as an in-house or work for an agency the one thing many would try to avoid is setting up tracking, it's normally a long, painful process filled with debugging and complaining to developers. Google has tried to make it easier by integrating its platforms into Google Tag Manager, but each tag does come with its own complications. Especially when it comes to Google's enterprize solutions like DoubleClick. The power of DoubleClick lies in its Floodlight tag system and to make the most of this ad platform you need to have it set up correctly on your site, which has personally been a pain for me in the past. Floodlight tags are conversion tracking system for the DoubleClick Digital Marketing (DDM) platform. Like other conversion tracking systems, it consists of tags that track activity on your site, along with reporting features for adding conversion data to your reports. It uses a cookie to recognize repeat visits from a specific browser. 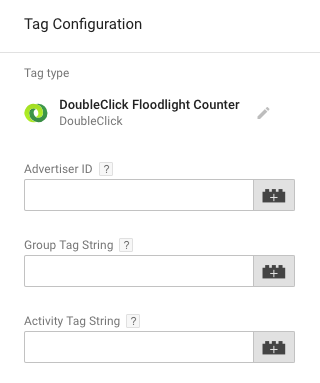 Because all properties within the DDM platform—Campaign Manager (DCM), Bid Manager, and DoubleClick Search (DS)—can use Floodlight, you can use a single set of Floodlight tags to track conversions from both display advertising and search advertising. This prevents cross-channel conversion funnels from counting conversions more than once (for example, conversions that start from a display click and end with a paid search click will give last-click credit to the paid search click). So what's the difference between a Floodlight tag and a remarketing tag? Floodlight tag is the best way to know about your user activity or the effectiveness of the online campaign Remarketing is a powerful way to stay engaged with your target audience. There is no such division on users can be made. You can divide users as per the sections of your website they shown interest, like gadget, fashion, sports, etc. It captures conversions associated with users that came in contact with your online campaigns, either by click or by an impression It captures the user behaviour to retarget or remarket the user. If you're not opting for the hard-coded route and have GTM installed on the site, you can use one of the following methods to get your floodlight tags firing. You will then be presented with the following fields. Head back to your DCM console and grab the set up script. Note: The Floodlight Sales tag will have the same initial setup however you will need additional data sent to capture unique parameters like revenue, order ID etc. Now that you've jumped through the setup hoops there is hardly any reason to fiddle with it again, and you can safely create your campaigns with DoubleClick. This is only an introductory set up of the tagging system. There are additional configurations available for more advanced users of the platform which I will tackle in future posts. South Africa is not all Bad! Have a look at our guide on how 60+ South Africans can get more bang for their buck!